Chee is no longer with us, God rest her soul ! 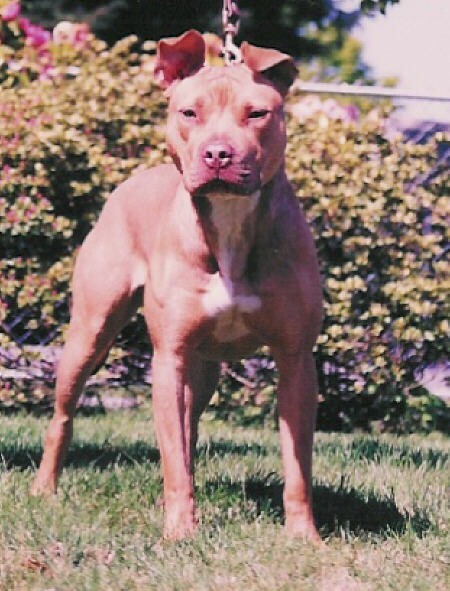 The goal of Auringer American Pit Bull Terriers is to promote the American Pit Bull Terrier in its true light, a breed that above all else strives to please its master . Now this isn't always a good thing, given the mentally of some dog owners today. It takes a special person to own and properly raise a pit bull. I have picked my dogs early in the litters and am happy to say that I believe that I've chosen the best dogs. Also I have only considered the best breeders with the type of dogs I prefer. I chose my dogs not only for structure but also for drive. The sire and dam of all my dogs hold titles in more than one area, or displayed the tools and the will to do so. I have owned A.P.B.T.s. 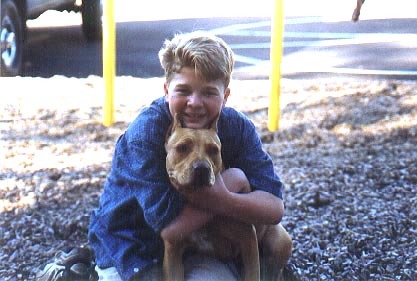 For seventeen years and will probably never own a dog of a different breed. Years ago I fell in love with the intensity of these dogs, both at play and affection. I was surprised at the intelligence of these dogs and have found it to be a breed trait. I was also impressed at the tolerance and genuine love of small children displayed by all of my dogs. 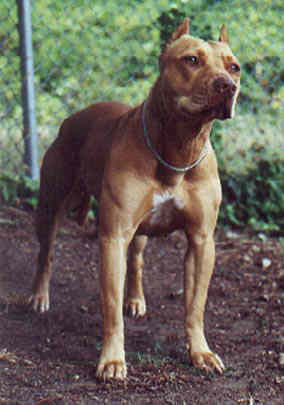 The American pit bull terrier is a unique breed that requires a special owner. If you have what it takes to properly raise such an animal the rewards are well worth it. I would like to stress, that I am not a kennel, but an admirer of the breed. 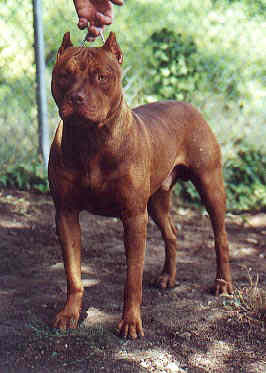 When I do breed my dogs it will be for myself and a few friends, and only a few dogs will be for sale. 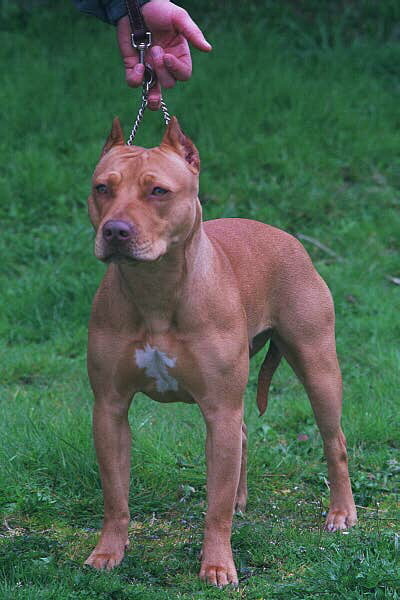 My dogs are not open to public stud, and will not be until I breed to my own females, and then only to approved dogs. This webring was created to join all pit bull related websites that promote a positive image for our breed. 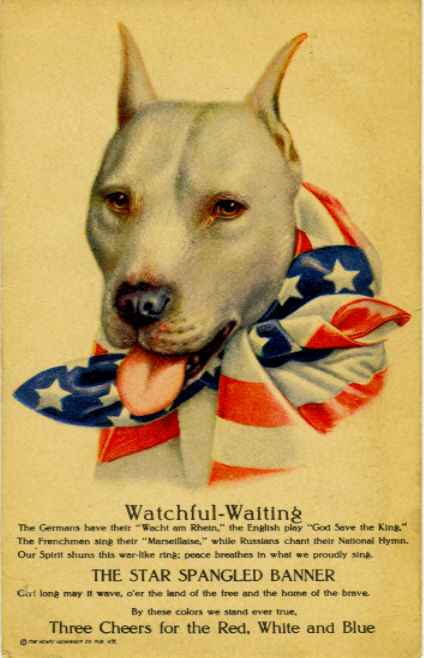 Would you like to join the Lone Star State Pit Bull Club Webring? You are the person to visit this page, please sign my guest book. This U.K.C. Show Dogs site owned by Tim Auringer . and American Dog Breeders Association (ADBA). 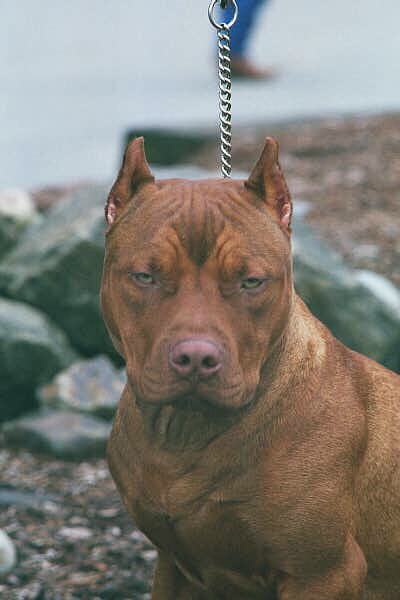 Ruckus Bred to Miles Lil Red Santana. 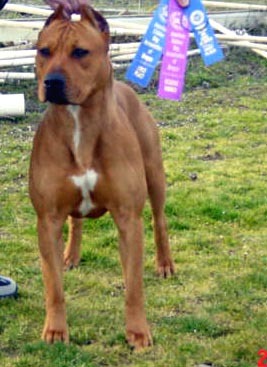 Santana is a beautiful girl with ADBA bloodline holding some of the most consistent winners in the northwest. Six beautiful red red nose pups 3 female 3 males. All six are for sale to QUALITY homes.